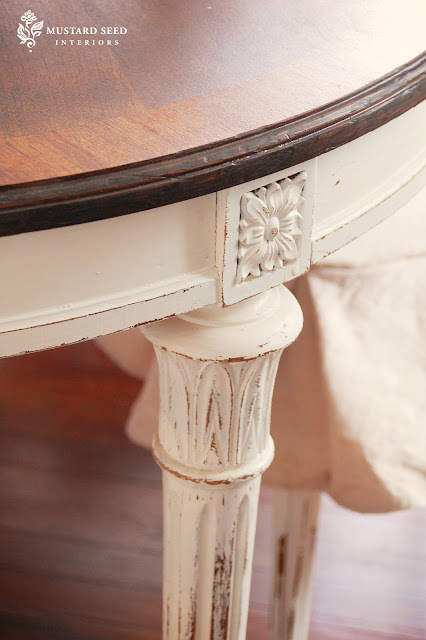 hope & salvage: Remember my Minwax tiff? I wrote a post a long time ago about the topcoats I used and it’s been hanging out in the painting section on my side bar ever since. A reader sent me an e-mail a couple of months ago asking me to update it. I went back and read the post and she was right! I hardly use any of the products anymore. The main reason for that is soft wax. I started using wax and I didn’t need to use other topcoats. 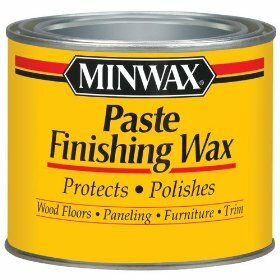 I occasionally use something else, but wax has stolen my furniture-refinishing heart. 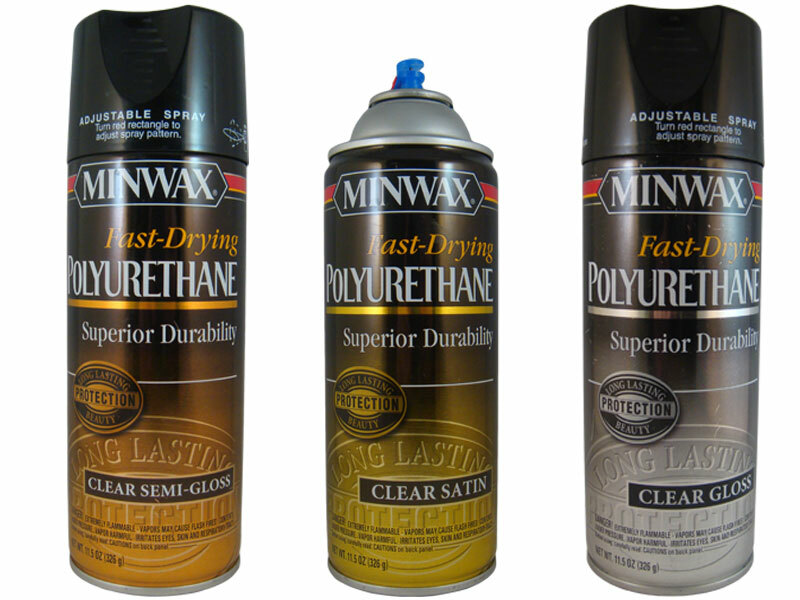 How it’s applied: Apply the wax in a thin coat with a wax brush, bushy paint brush or soft cloth. Work it into the surface until the wax is absorbed. Allow it to dry for about five minutes and then buff it with a soft, clean cloth. Apply additional coats for even more durability and shine. What I like it for: Natural wood, porous painted surfaces (Milk Paint, Chalk Paint, flat latex, flat acrylic, etc. ), especially when I want a soft luster to the finish, not a shine. I also like that it provides a super smooth, hard finish and no brush strokes. What I don’t like it for: I wouldn’t use it on a piece that has an existing intact finish and I don’t like it over non-porous surfaces like satin/semigloss paints. It just sits on top of the surface instead of getting absorbed. How it’s applied: Just wipe it on with a soft cloth. It’s one of the easiest topcoats out there to apply. What I don’t like it for: Pieces with a non-porous finish. Again, it just sits on top and doesn’t work as well. Creative Uses: It can be used to revive wood and even cast iron. How it’s applied: Wax on, wax off. Rub the wax on with a soft/clean cloth. Allow it to dry to a haze and then buff it off. 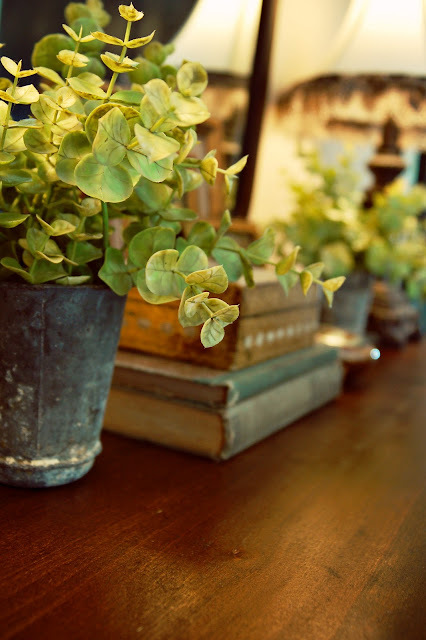 What I like it for: Natural wood, painted surfaces, especially when I want a soft luster to the finish, not a shine. I also like that it provides a hard finish and no brush strokes. What I don’t like it for: Pieces with a lot of texture or detail. The wax gets clumped in the details and it’s a mess and a pain to get out. I stick with smooth pieces. Creative Uses: Dark Wax is a wonderful way to antique and provide protection all in one step. One piece I used it on: My old dining room table top. Why I don’t use it any more: Paste wax is a lot thicker and harder to work with than soft wax. It’s sort of like the difference between chap stick and lip gloss. Paste wax is a lot cheaper, but soft wax is so much easier to work with. How it’s applied: This can be brushed or sprayed. It’s water based, so it’s easy to wash out of brushes and equipment. What I like it for: I use this most on chippy pieces that need to be sealed. I can slather it on with a brush and it provides a hard, satin finish that protects my family from lead paint. I also use my paint sprayer to apply this to painted furniture when I want a clean finish that isn’t distressed. What I don’t like it for: Natural wood or pieces where the brush strokes are going to show. This product leaves a lot of brush strokes, so I prefer to use it on pieces with texture (like chipping paint) or apply it with a sprayer. Also, it does dry clear in most cases, but it can slightly yellow some whites or change the color of some paints. You may want to test it on a small area before applying it to the entire piece. Creative Uses: You can mix paint with it and use it as a glaze or extender. One piece I used it on: My traditional hand painted dresser. 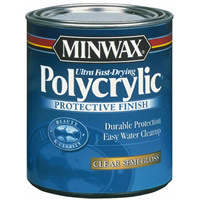 Why I don’t use it anymore: I always used the polycrylic as a topcoat over satin latex. I’ve since learned that you don’t need a topcoat over satin latex. That finish is hard enough on it’s own once cured. If I did use it, I would only use it in a sprayer. How it’s applied: Wipe it on with a clean, soft cloth. Lightly sand with a fine sand paper or steel wool between coats. What I like it for: Natural wood and dark painted pieces. What I don’t like it for: Light painted pieces, because this product will really yellow paint. One piece I used it on: The top of my vanity. Why I don’t use it anymore: Again, wax has bumped this one aside. I found that I never got a buttery smooth finish with the Wipe-On Poly, but I still think it’s a good easy-to-use product. I just prefer wax. How it’s applied: Self-explanatory, I think! Remember to use long, even strokes and hold the paint can an even distance from the piece you’re painting. It’s better to apply several thin coats, instead of one thick (and drippy) one. What I like it for: Sealing rusty metal pieces or finishing smaller pieces like accessories, chandeliers, etc. One piece I used it on: A rusty chicken feeder. Why I don’t use this product anymore: Actually, I do! I still use it exactly the way I did a couple of years ago, but I never, ever, EVER use it on furniture. Never. These are just my preferences, so I encourage you to try several different products to see what you like!